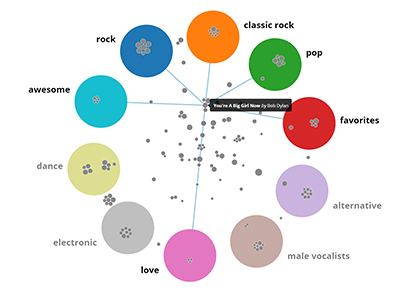 This visualization maps the connections between favorite songs of users from the Million Song Dataset, using genre and song tags as an organizing motif. The most used tags for the songs a user has listened to are shown above. 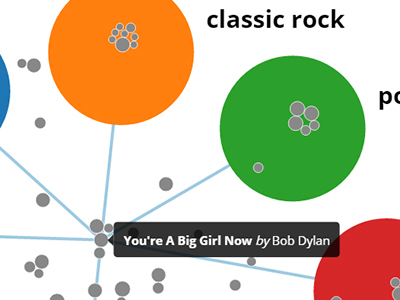 The gray smaller circle nodes represent songs listened to, and are sized based on frequency of listening. Songs with many tags are pulled toward the center.